This plugin implements an equal-shares Resource Based Economy. In this economy, a player can donate their extra goods to the economy. Those goods are then split up between however many people are in the economy, who can then take their share of those goods at any time or donate more to the economy. /rbe accept [playername] : Accepts the specified player into the economy you belong to. 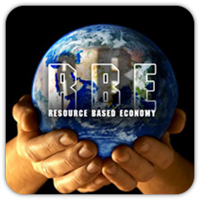 /rbe account : Shows the economy name you belong to and whatever your account balance in resources is. /rbe receive [itemname] [number] : Gives you the number of the item you specify, as long as you are not exceeding your resource share. Items that can only be stacked 1 high cannot be donated. This includes tools with durability, books, etc. If anyone wants to set up a test server for this plugin, I would be more than happy to post the server on this page. Plugin is great and is working good on Spigot 1.12. Requesting an update! This looks like an excellent idea.